Karaga is one of the oldest festivals in Karnataka and is also celebrated in Tamilnadu. In Bangalore, the Dharmarayaswamy Temple in Thigalarpet (central Bangalore, between the City Market area and Richmond Town) has been the focal point of this festival. Karaga ran its course in the third week of April this year. These pictures were taken on the night of 20 April, a full moon. These are the Veerakumaras. They marched in hundreds from near the Corporation Circle towards the Dharmarayaswamy temple. was broadcast on huge PA systems and was heard all over the area. Adishakti Draupadi is the community deity of the Vanikula Kshatriya Thigala community, and Karaga is the 9-day festival observed by them in reverence to the Goddess. 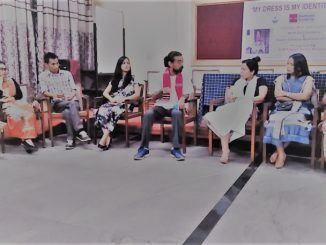 The Thigalas believe that Draupadi Shakti (power) brims over during the Karaga festival and the Karaga carrier dressing as a female is symbolic of Draupadi. circle. There was a number of processions like this and all of them finally ended up near the Dharmarayaswamy temple. The karaga itself is a mud pot, on which stands a tall floral pyramid that is balanced on the carrier’s head. The karaga-bearer himself symbolises goddess Draupadi and is therefore adorned like a woman. The karaga-bearer leaves the temple around midnight. The goddess is brought for the darshan of the devotees from the temple on the head of the karaga-bearer. 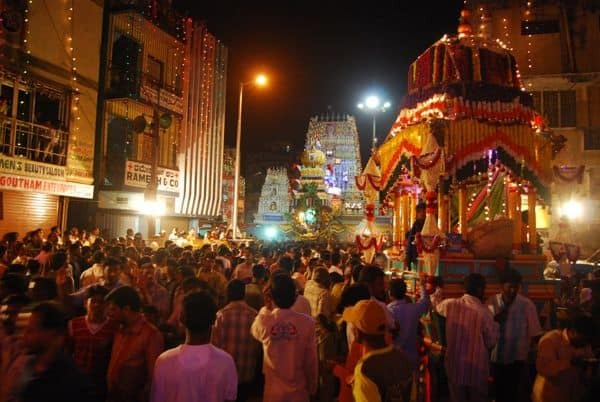 The festival’s route in Bangalore begins at the Dharmarayaswamy temple and snakes through the old city via Cubbonpet, Ganigarapet, Avenue Road, Dodderpet, Akkipet, Balepet, Kilari Road, Nagarathpet and surrounding areas. Text for this feature is courtesy of Wikipedia and Karaga.org. Citizen Matters has not checked the validity of any interpretations, and does not make any claims to its authoritativeness. 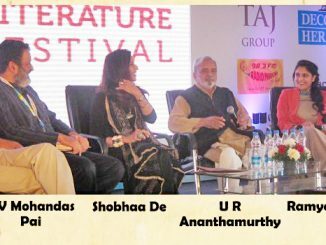 For us average Bangaloreans, the communal ire at the discussion on Bangalore, was quite a treat. For applause from an event’s audience means that a wide-ranging liberal platitude has just been delivered. I just registered on Citizen Matters. The Karaga pictures caught my eye. I couldn’t attend the night festivities, but went in the morning for a while and took some pictures. I don’t know if this is permitted here… I will put it in anyway. I am sure I will find out if it is appropriate! Excellent coverage.Wish I had been able to go there…but practicality intervened!